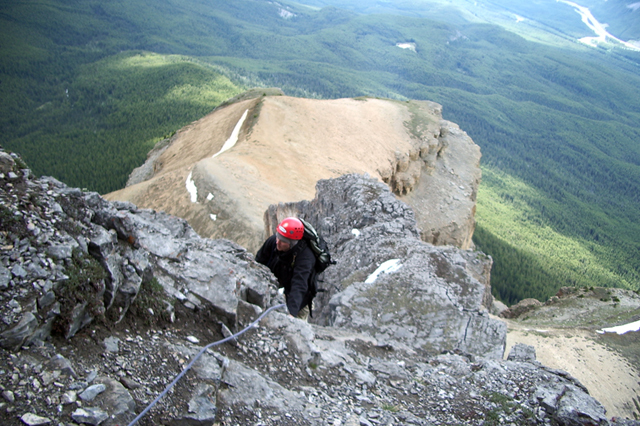 Progressing from single pitch to the multi-pitch sport climbing is the goal of many rock climbers. There are numerous lifetimes of multi-pitch sport climbing but additional skills are required to do this safely and proficiently. The Rock 3 – Multi-Pitch Sport Climbing Course will focus on providing you with the skills to successfully and efficiently complete multi-pitch climbs at almost any rock climbing destination. Skill development will focus on: route selection, belaying methods in the multi-pitch setting, protecting both the leader and the second while climbing, anchor construction and considerations for multi pitch climbing, route finding, rappel descents and emergency preparedness. This sport climbing course is the perfect progression for climbers who are leading Sport 5.9 or Trad routes in the 5.7 range or harder and are looking to perform successfully and efficiently in the multi-pitch environment. Welcome, introduction, goals and agenda. 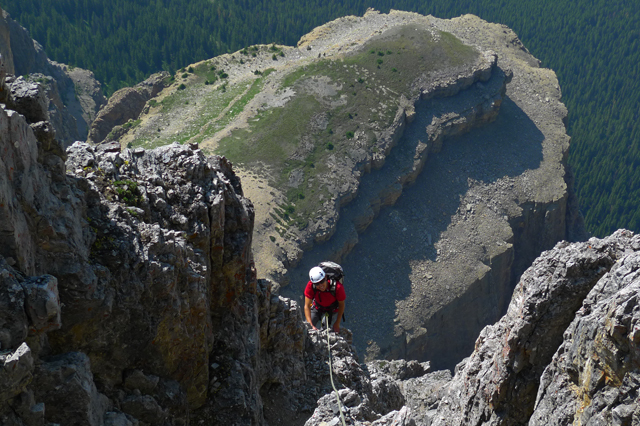 Stay for an extra day and put your new skills into practice on a classic Canadian Rockies multi-pitch climb. The instructor to student ratio is 1:2. 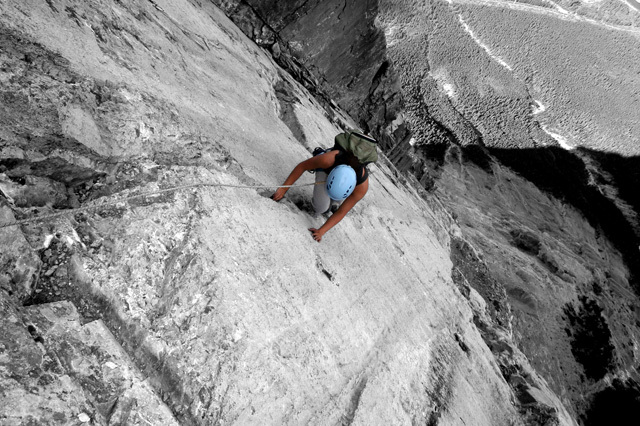 We divide into compatible teams, choose a suitable multi-pitch route and spend the whole day climbing it. 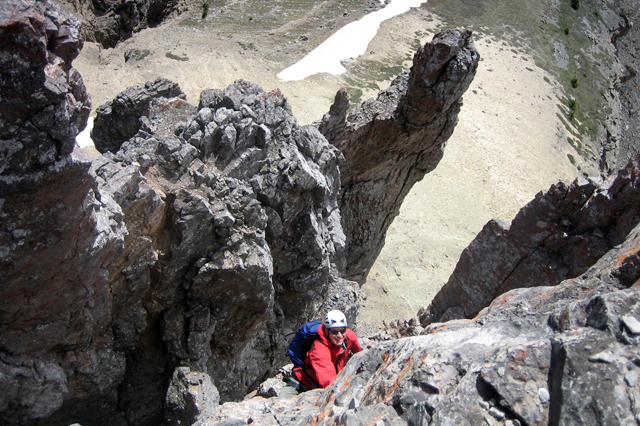 Climbs include routes on Mt. 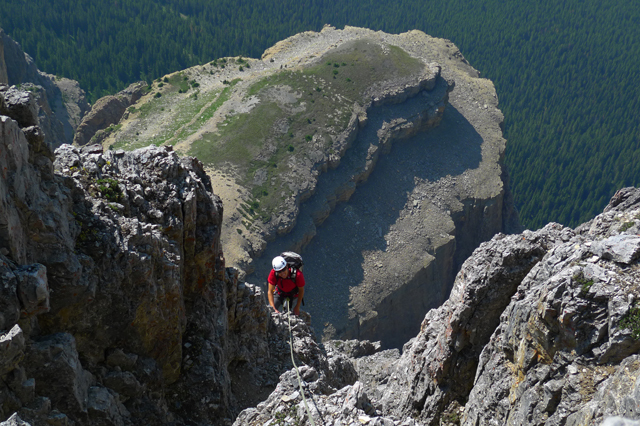 Yamnuska, Kid Goat Buttress, Tunnel Mountain and Cascade. The goal will be to climb a personally challenging objective while practicing the skills required to second a multi-pitch rock climb. $280 plus GST. Available on Day 3 following ‘Multi-Pitch Climbing Skills’. 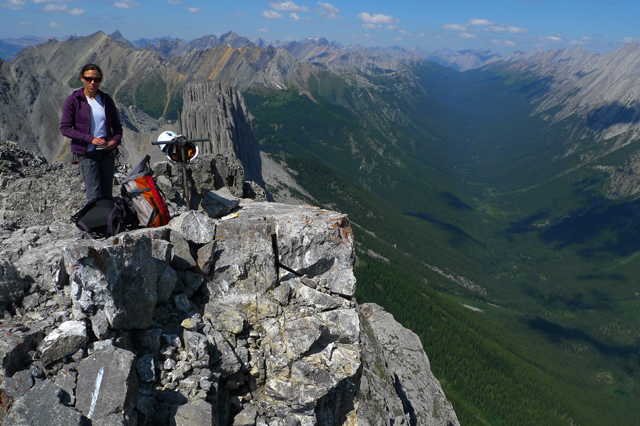 The course begins at the Yamnuska office at 8:00 am on Day 1. The Yamnuska office is located at 200, 50 Lincoln Park, Canmore. See this map for location. 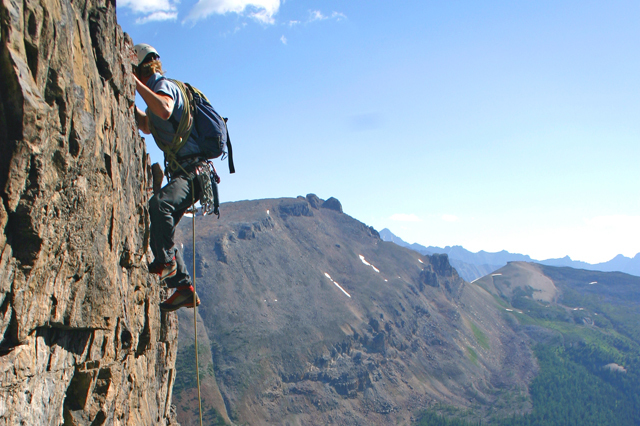 Enthusiastic and extremely talented, your instructors hold climbing certification from the Association of Canadian Mountain Guides. Our instructors are chosen not just for their technical climbing virtuosity but also for their ability to instruct and coach. Instructor to student ratios range down from 1:4. On “Plus” days 1:2 is the maximum. Minimum group size is 3. To keep prices down participants are responsible for their own transport to Canmore and during the program. Canmore is a 1hour (100km) drive west from Calgary. If you are flying from afar for the program we suggest that you rent a car for your visit. In addition to getting you to the climbing locations it will allow you to explore our region after program hours. For example you can visit Banff and enjoy the hot pools and sample the numerous restaurants. Food is not supplied. You will need lunch, energy snacks and plenty to drink each day. We recommend a minimum of 1L of fluids per day, more if it is hot. The course fee includes use of rock shoes and technical gear although you should feel free to bring any gear you already have. The weather encountered on this program varies greatly, with the courses at the beginning and the end of the season more prone to cold conditions. The list below covers all possibilities. Should sunny warm conditions be forecast some items may be unnecessary. Remember that weather can change fast so even if the day starts out sunny you may still need rain gear in the afternoon. Conditions on the higher climbs on the ‘Plus Days’ are often colder. Hiking boots or running shoes for the hike to the climbing area. *We can loan you these but you must advise us in advance that you need them. Please book as early as practical to avoid disappointment. We require full payment on booking. It is wise to ensure that your health plan will cover you in case of illness or accident during your trip. Obtain extra coverage if necessary. There is no charge for rescue in the national and provincial parks with the purchase of a park entry pass, however costs such as air or ground transportation, long term care and other services are not covered. $455 CDN covers instruction and use of technical gear. Accommodation and meals are not included but low cost, easy options exist. Goods and Services Tax (GST) is extra. Optional ‘Plus Day’ $280 plus GST. This course is the perfect progression for climbers who are leading Sport 5.9 or Trad routes in the 5.7 range and are looking to perform successfully and efficiently in the Multi-Pitch environment.